Haight Ashbury‘s third album “Perhaps” will be out in May. 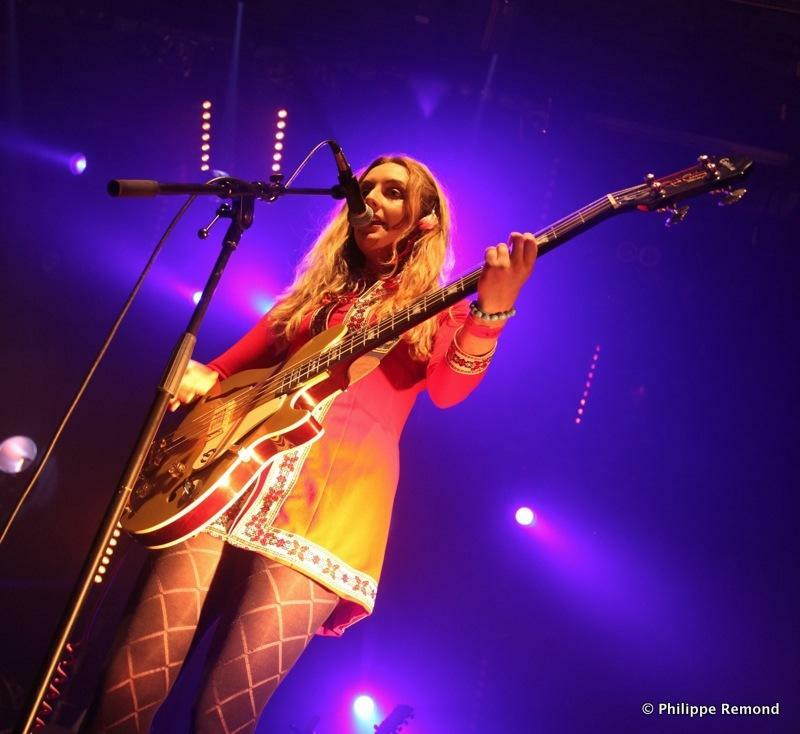 “Blow your Mind” the new single – out in March – is already getting radio play on 6 music! 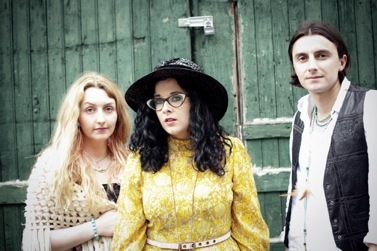 This Glasgow trio has quite possibly never sniffed a single whiff of proper incense-scented SF air. But my, have they imbibed the spirit! Theirs is a huge wall of sound, consisting of twanging tablas and rattling tambourines, the ethereal twin vocals of Jennifer Ashbury and Kirsty Heather Ashbury (possibly not their real names) and a serious addiction to Jesus & Mary Chain-type guitar textures. Huge fun. 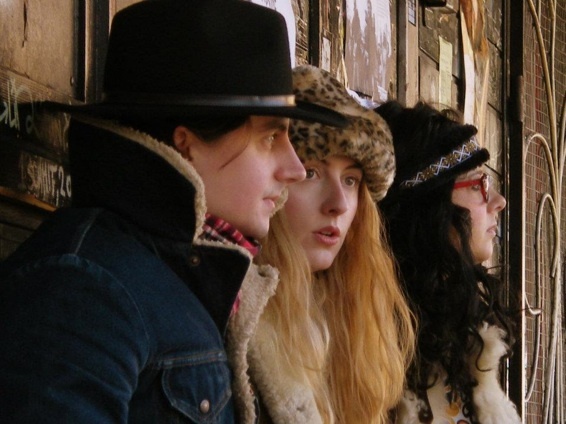 Glasgow psychedelic folk band Haight Ashbury release their third studio album Perhaps? on 31st May, the album was written & recorded during their busy 2012 touring schedule, from it comes a first single “Blow Your Mind” released on 25th March. The new album takes a new twist from their trademark twin lead voices with Jen and Kirsty for the first time each singing solo and guitarist Scott, who previously was the non singing member of the band, taking lead vocals on two tracks. Songs from the new album will be previewed at a special Vienna Songwriting Association show at the Haus Der Musik in Vienna on 23rd March. 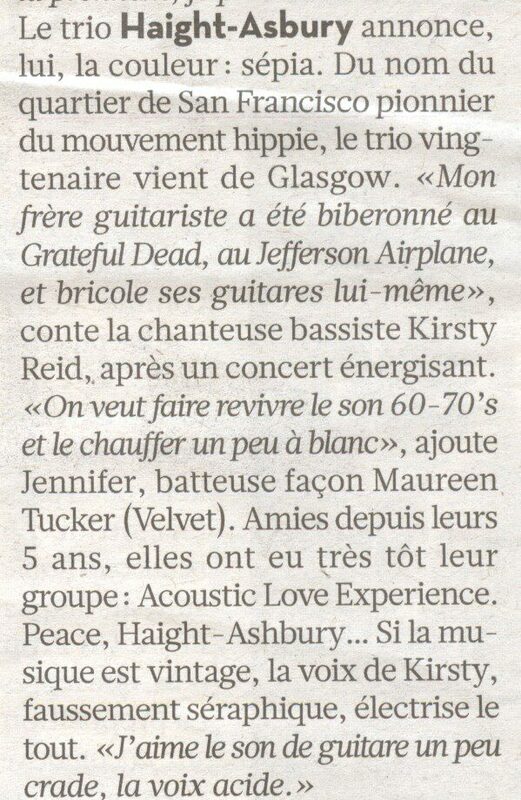 Ils ont beau emprunter le nom d’un quartier de San Francisco, les trois membres de Haight Ashbury (un frère, une sœur et leur amie d’enfance) viennent en fait de Glasgow. Mais attention, les Ecossais ne font pas dans le sentimentalisme revivalist. La bande nous sert un folk psychédélique à la fois mignon comme tout par la superposition des voix féminines et bien crado par leur guitariste. Leur morceau Freeman Town est complètement envoutant et promet à lui seul un beau moment sur scène. 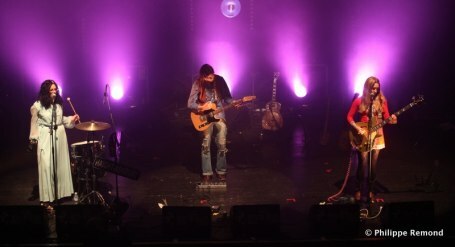 Une des révélations des Trans Musicales 2011.